Used as a prop in the Exorcist TV show, this library or dining table or writing desk was hand carved in Italy about 1890. The restored finish is in excellent condition on this antique furniture. Three drawers have solid oak sides with hand cut dovetail joints. 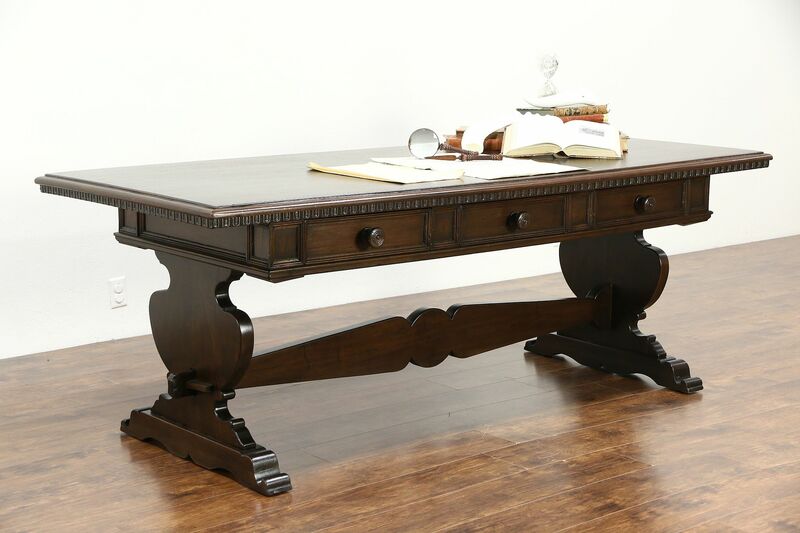 The trestle base has mortise and tenon joints at the ends in the Renaissance manner. Measurements are 90" long, 37" wide, 32 1/2 " tall and legroom is 24" underneath.